The metallic sculpture sits in the middle of a shady pool. The polished industrial surface in stark contrast to the delicate blue kingfisher that the artist has crafted to pose, lifelike, on its extremity. But it seems that the artist has done the job too well as the supposedly fabricated kingfisher suddenly takes to the air. 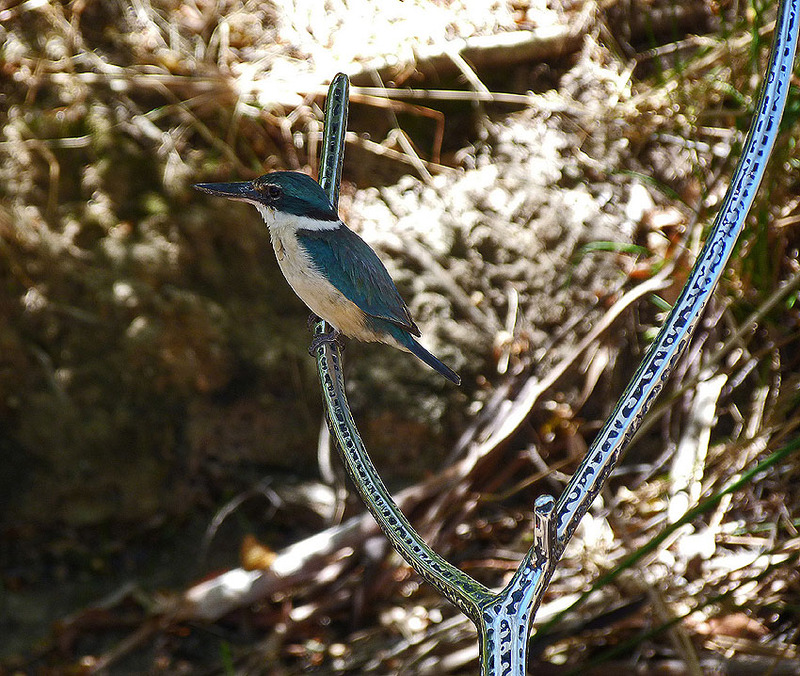 I have rarely seen sacred kingfishers in the hills and to find one conveniently posed on a sculpture in a pond is simply too good to believe. I am strolling around ‘The Cedars’ the privately owned property near the tourist hamlet of Hahndorf in the Adelaide hills which is open to the public and host many art displays throughout the year. 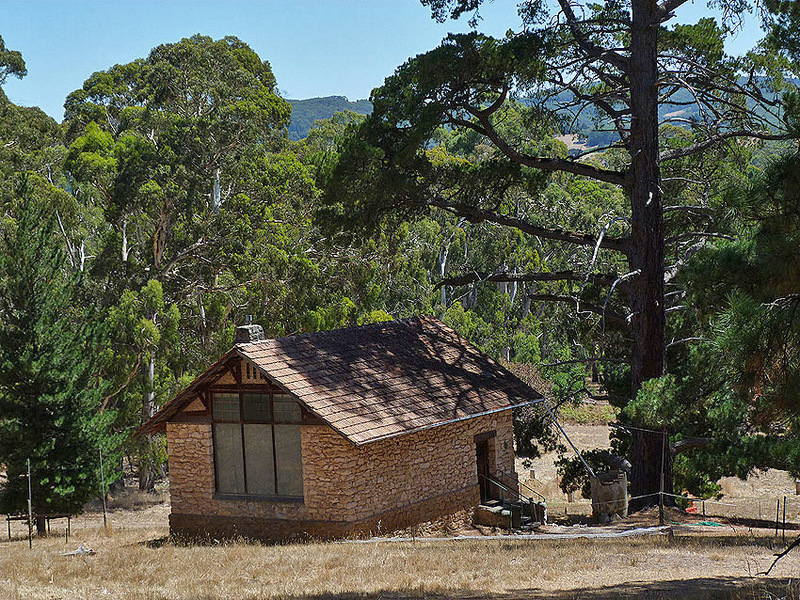 It was home to South Australia’s most famous artist, Sir Hans Heysen. The German born Heysen moved to SA in 1884 at age 7 where he was inspired by the beautiful and rugged countryside of the Adelaide Hills. He painted rural and landscape scenes for over 70 years in many SA locations before his death in 1968 The home and studio are set in 60 hectares of open woodland and scrub and wandering amongst the bush it is not difficult to see how the area inspired him. From ‘shady pool’ I climb the gentle slope above Heysen’s studio to explore a stand of Eucalypts. I can hear the warbling of magpies and screech of lorikeets. Half way up the incline I notice another piece of art work. 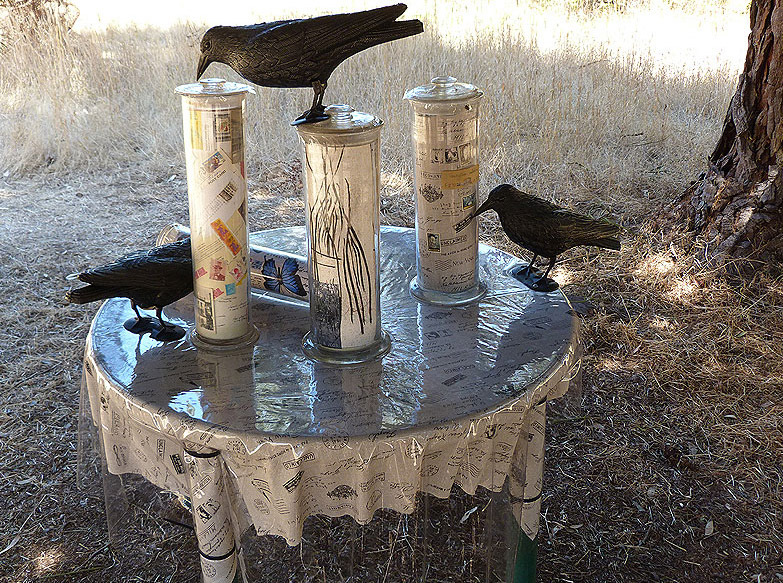 Several crows are balanced on a table peering into glass specimen jars full of postcards. 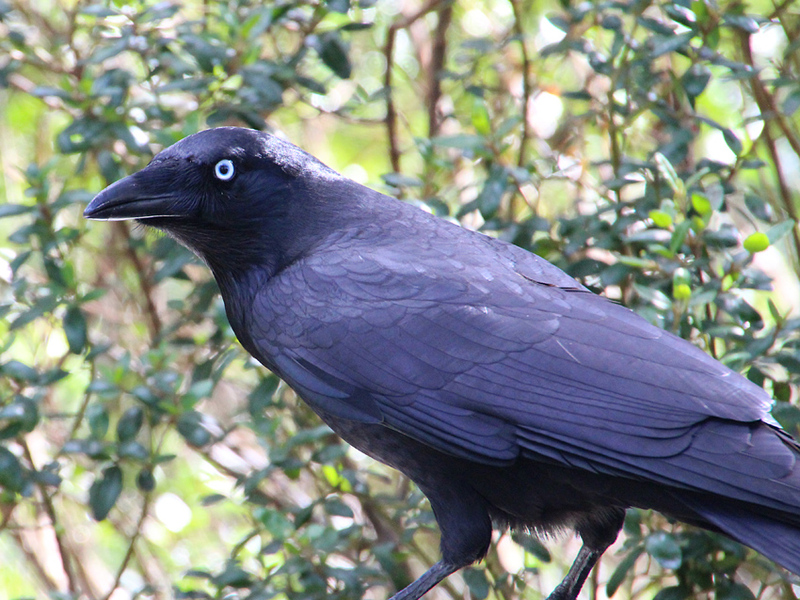 Nearby a pair of genuine, organic crows are perched in some bushes searching for food with their piercing blue eyes. In reality, the birds we commonly refer to as crows are more likely to be Australia ravens as the true crows are usually found further north in drier conditions. 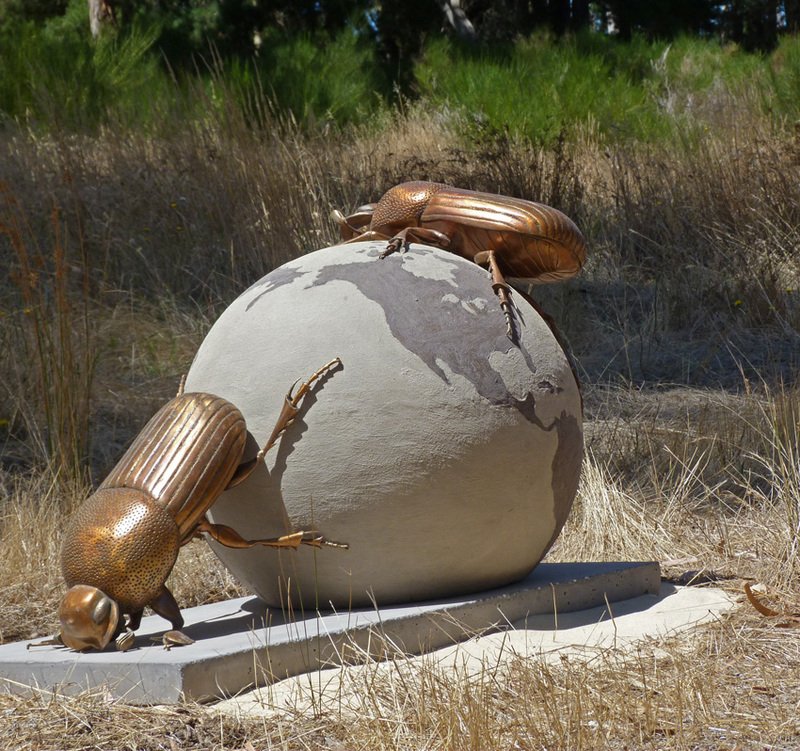 A little further along the trail I discover yet another art work hidden in the scrub: a pair of dung beetles rolling a globe. This piece seems to reflect on the state of the planet as seen by one artist. From this site I take a short walk to the house where Hans Heysen and later his daughter Nora lived and worked. The well kept garden features an eclectic mix of native and exotic flowering plants, the perfect place to find some beetles though not the dung variety which are more typical of Africa not Australia. 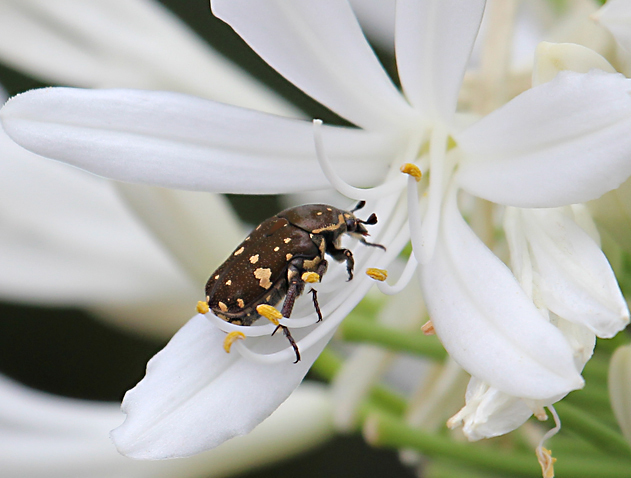 After a little searching amongst the agapanthus, roses and native species I discover a brown flower beetle crawling across an agapanthus blossom. My walk has been both entertaining and informative with each animal species mirrored by a piece of art: a lovely way to spend an autumn afternoon.